We are thrilled to share that DynamiX has just been named (April 2018) as 'Best Agency' by the Horizon Interactive Awards, marking the third consecutive year we have been so honored. In addition, DynamiX was recognized as the Most Awarded in the competition. This year, DynamiX clients were recognized with 89 Total Wins: 2 Best in Category, 33 Gold, 37 Silver, and 17 Bronze. Other winners include AT&T, Microsoft, Oracle, Smithsonian, Times Square, Neutrogena, Build-a-Bear and many more. 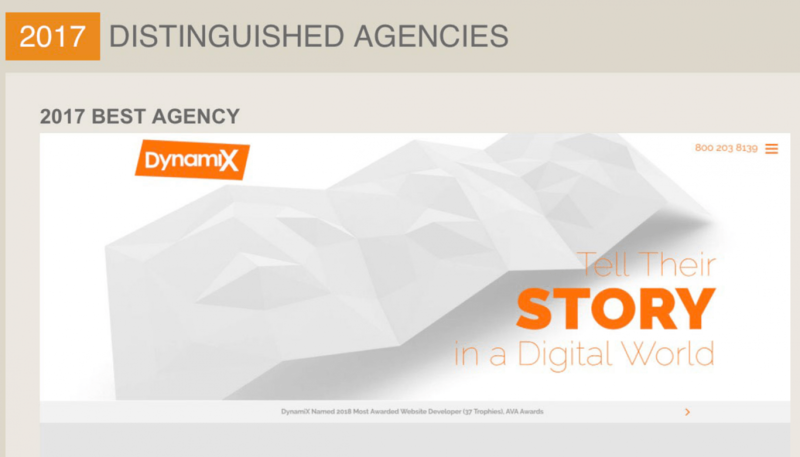 Award-winning DynamiX websites are listed below. To every one of our clients, we'd like to say thank you for allowing us to work hard and make an impact on your behalf while doing what we love!